Last weekend when I was planting the sale plants that I had just bought, I noticed that one of the Clematis had a few extra plants in the pot. Not the typical weeds either -- these were healthy mosses and liverworts! I expect that this means that the soil the Clematis was potted in was not ideal: low soil pH (acidic) or not enough nutrients, or both. At least I know that the plant has been kept well-watered, right? 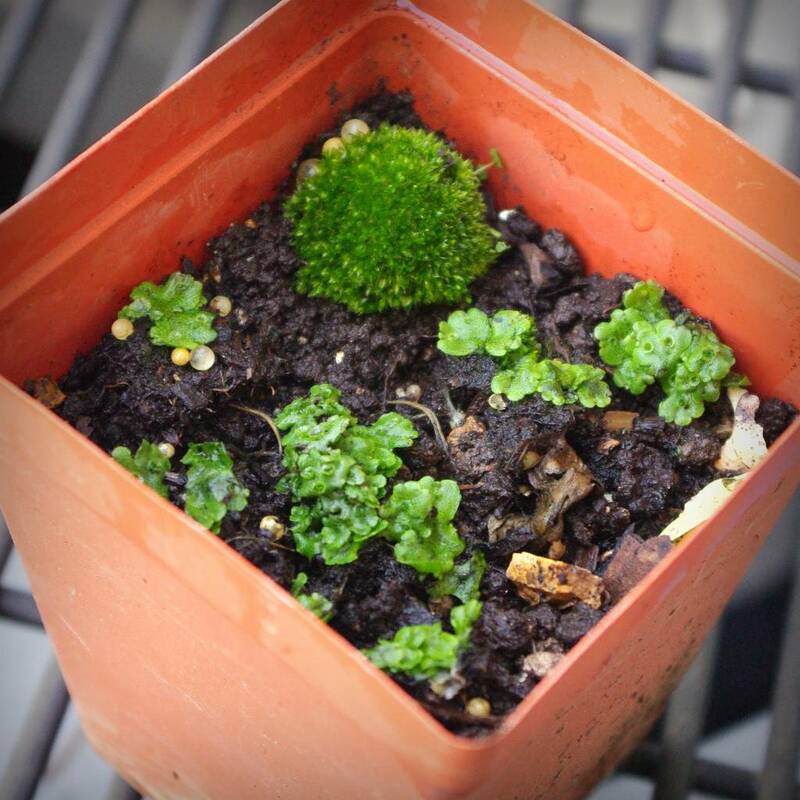 So I salvaged these little plants, creating a tiny garden in a container. I may transfer these to a small terrarium in a couple of weeks when the colder weather gets here, but for now they're enjoying the cool, damp (finally!) autumn weather outdoors. 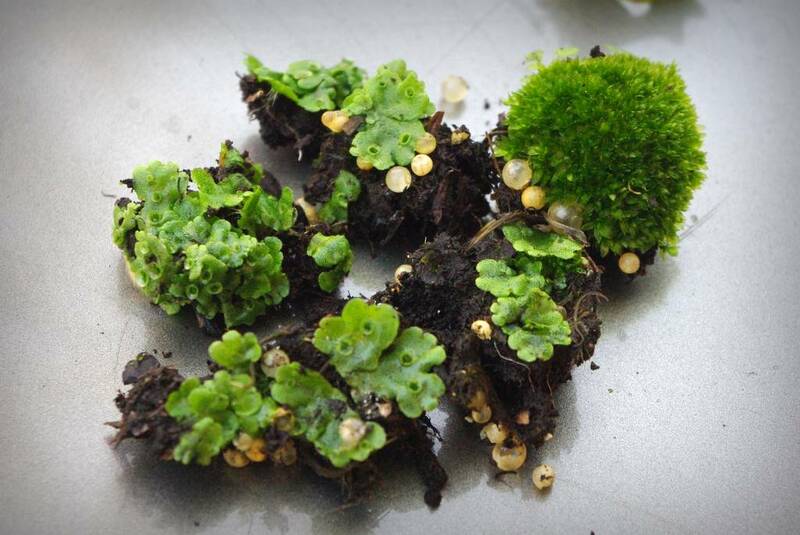 Liverworts are not plants that I see too often, so although they may be common, they're really interesting to me! You're smart for saving them. I usually peel them off and throw them away. BTW, they'd be perfect for a bonsai arrangement!